Subtitle: Nuclear power plants cost far too much to construct. The instant cost plus inflation, escalation, and interest on loans adds up to more than $10,000 per kW. photo - Wiki Commons by Charles C. Watson Jr.
One reason that nuclear power plants are uneconomic is they cost far too much to construct for the amount of power that they produce. If one were to build a new nuclear power plant in the USA today, the final cost would be more than $10,000 per kW. Several references support this assertion, Severance (2009), MIT (2003), and California EnergyCommission (2010). All of these three referenced sources use $4,000 per kW as the overnight cost. Overnight cost is the cost to construct if the plant could be built all at one time, or “over night”. Of course, a nuclear power plant cannot be built overnight, as they require years to construct. The added years increase the cost by escalation of materials and labor, and by interest on construction loans. Severance calculates the escalation for materials and labor to be $3,400 per kW, and for interest on construction loans to be an additional $3,100 per kW (figures rounded). The total then is $4,000 plus $3,400 plus $3,100 equals $10,500 per kW. A new, twin-reactor plant that produces 2,000 MW net electricity would then cost $21 billion to construct. However, as indicated in Part Two of this series, Severance and the others did not include funds to make the plant operate safely if a large commercial aircraft crashes into the plant. Not only the reactor, but the spent fuel storage area and the cooling water system must remain operable, per new NRC regulations. This brings the cost to construct to approximately $12,000 per kW. How does this estimate compare to recent experience in the US? There are two reactors under construction in Georgia, at the Vogtle plant. Two more reactors were cancelled in Texas due to the excessive cost estimate at the South Texas Nuclear Project, STNP. The STNP expansion project would add two reactors to the existing two, and was cancelled after a cost estimate of $17 billion was conceded by the reactor vendors to be too low. As a result, we will never know how much that plant would cost to construct. The Vogtle plant is advertised as costing “only” $14.3 billion for twin reactors at 1100 MW each using the Westinghouse AP-1000 design. However, cost overruns already incurred have increased the cost to $15.5 billion. It is notable that Georgia changed the state law to allow the utility to bill customers in advance for construction costs. This was an attempt to not pay finance charges on the construction loans. In essence, rate-payers pay more money for electricity they are already using, and the utility company spends that cash for the nuclear construction. Without this creative financing, the Vogtle plant would be right in line with Severance’s number, $20 billion more or less. In Finland, a single-reactor Areva nuclear plant is experiencing similar cost overruns and schedule delays. “ "Areva was ready to do anything to win the Olkiluoto deal, including downplaying project management deficiencies. They had also previously delivered and commissioned nuclear reactors but they had never undertaken an entire project end-to-end, since the main French contractor had always been the EDF Group (Électricité de France), explained Les Échos editor in chief Pascal Pogam in an interview with Yle’s A-Studio current affairs program. Truth Number 3: Nuclear power plants cost far too much to construct, more than $10,000 per kW. 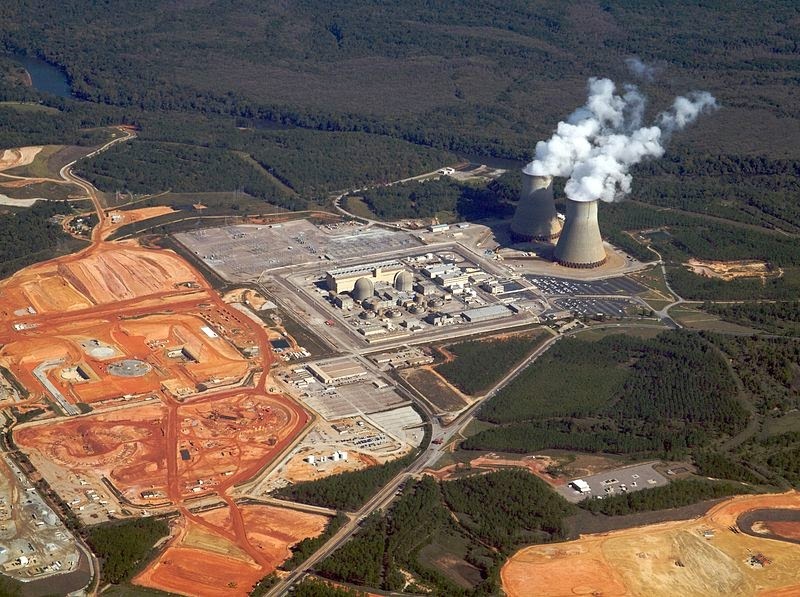 Nuclear power costs too much to construct, require government assistance in loan guarantees or bill current ratepayers for construction funds (Georgia). Nuclear death spiral on the demand for power is real and present, customers have a variety of ways to self-generate (distributed generation), and alternatives become attractive as power prices increase. Nuclear power will increase power prices, the greater the percent nuclear, the more alternatives become attractive. Part One -- Nuclear Power Plants Cannot Compete. Congratulations on your prescient assertion that "A new, twin-reactor plant that produces 2,000 MW net electricity would then cost $21 billion to construct." "The cost of the new reactors, originally projected at $14 billion, is now close to $19 billion and might reach $21 billion, according to recent PSC filings." Mr. Berglund, thank you for that. New PWR nuclear plants in the US will without doubt reach or exceed the $10,000 per kW installed cost. "What is interesting is the quoted price to build the 3200 MW Hinkley C plant, at £24.5 billion (the equivalent of US$ 39.2 billion). This equates to MORE than $10,000 per kW, at $12,250. Again, this is precisely what SLB has maintained all along - a new nuclear power plant costs far more than the $4,000 some advocates maintain. Instead, it will cost at least $10,000 per kW, and more likely $12,000 per kW. Here (in the UK) we see at least a small beginning of honesty from the nuclear establishment. However, given the long, dismal history of nuclear plant schedule delays and cost overruns, it is to be expected that the Hinkley Point C twin reactor plant will take far longer than 10 years to startup, and will cost far more than US$ 39 billion. It will likely require 15 years or longer, and $48 billion or even more."